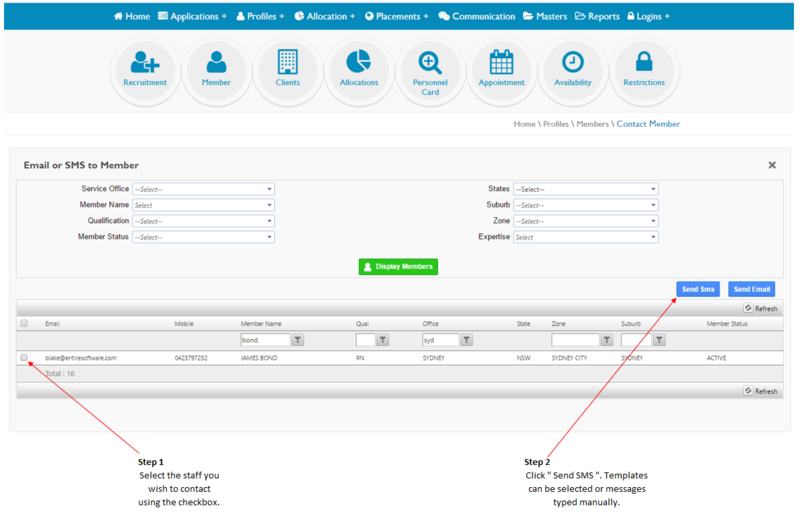 SMS & Push Notifications can be sent from multiple locations within the system. 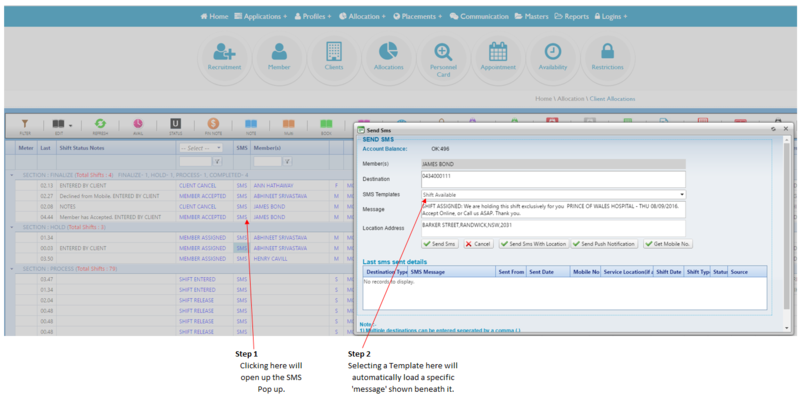 The location of these screens is shown below and "Templates" can be selected from these screens to greatly speed up the sending process. Here you can see how the date, time, location and names of those involved are able to be " loaded " automatically as they are already predefined in the SMS Template Master. 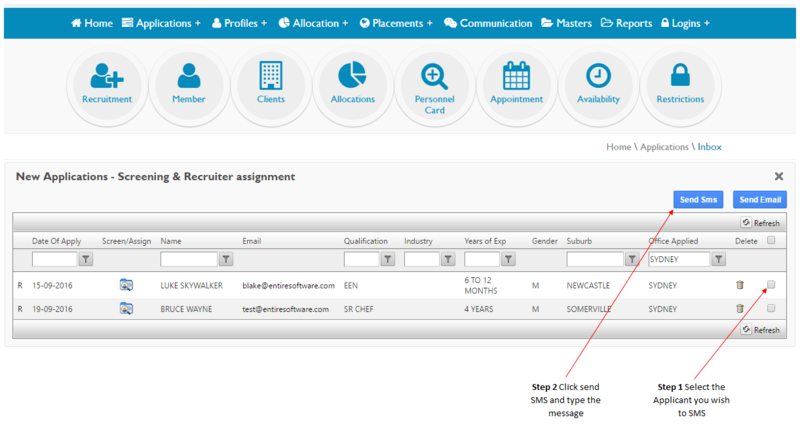 Please note - Push Notifications can currently only be sent to the Member App, not to Clients or to Applicants.